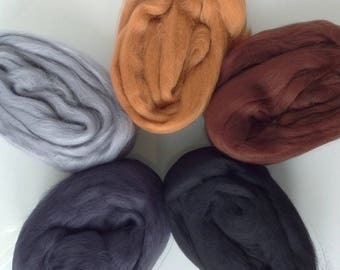 These bags contain 2 ounces (56gr) or 4 oz (113 gr) of multiple hues and shades of 100% Merino Wool fibers. 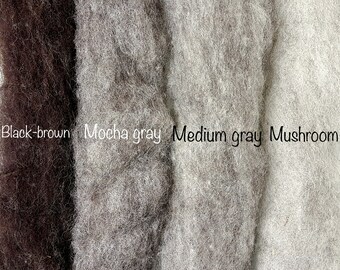 Here is a great way to add so many shades to your needle felting supplies. 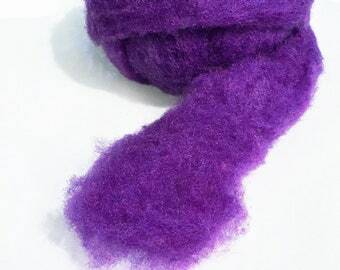 They are perfect for the needle felter who needs plenty of different colors, but not a lot of fiber. 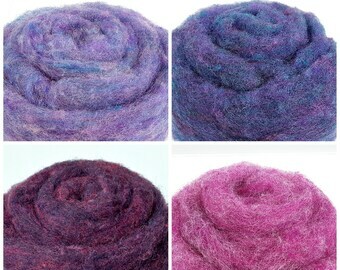 The rovings are between 5 "and 14" long. 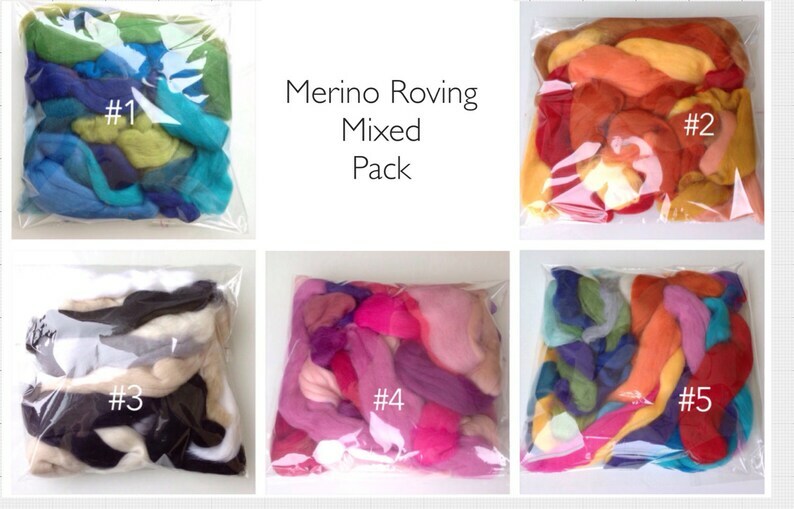 Ideal as a starter kit or for projects where you want a varity of colours to choose from. 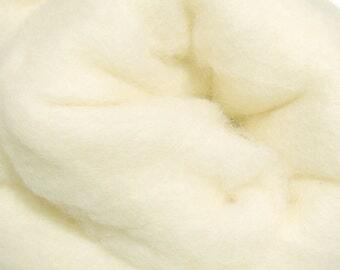 Exceptionally soft, these fine merino fiber (19 micron) are excellent for needle or wet felting. 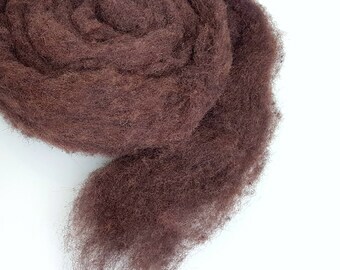 Great for spinning or embellishment for nuno felting. Select your color mix and weight from the drop-down menu. 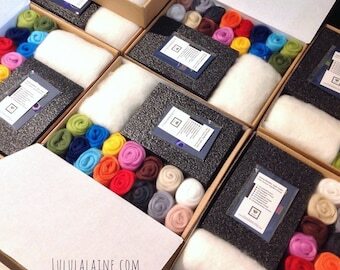 You can choose more than one assortment of colors. 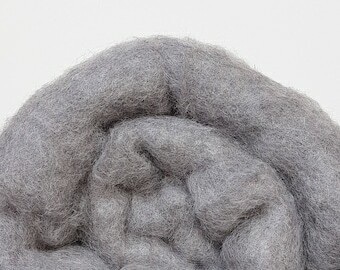 If you want a larger amount of wool, don’t hesitate to convo me. 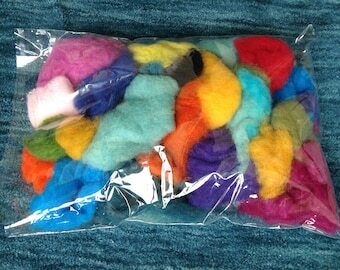 Please note that the picture is only an example of the range of colors of fiber in each bag. 3 Shade of green. 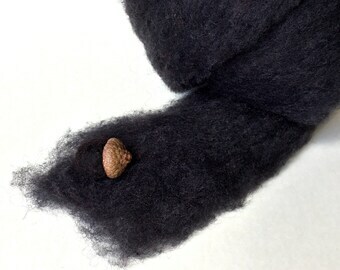 Carded wool fiber. 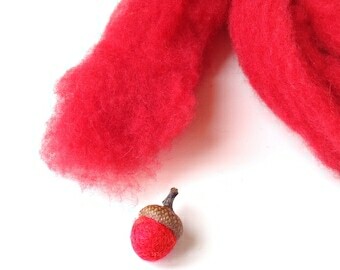 Perfect for wet and needle felting & spinning. 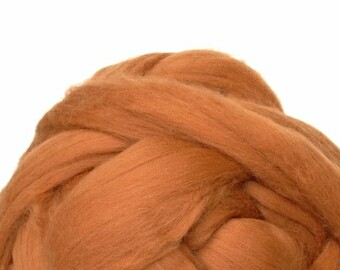 60g (2.5oz) or 120gr (4,25 oz). Green mix.